Description (ebay): Item Model Number20420. More item you may interest. Item Model Number20420. More item you may interest. 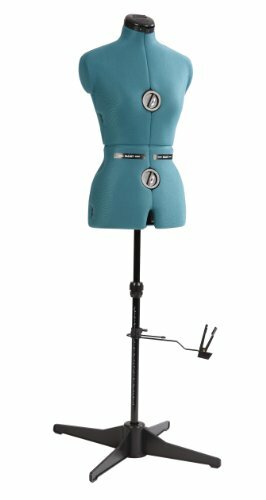 Sew You Dress Form, Size Small, allows you to personalize the form to match your body measurements. Simply measure your body and mark the adjusting wheel tapes to make the form Sew You can use the form for a friend by simply writing their body measurements on the wheel tapes in a different color of ink. Adjustments on the form can be made at the neck, bust, back waist length, waist and hips. Size Small Dimensions - Bust: 33-40 Inch; Waist: 26-33 Inch; Hips: 36-42 Inch; Back Length: 15-17 Inch; Neck: 14-17 Inch.